The implementation of university-community engagement projects is neither novel nor is it in the mainstream in many universities in Malaysia. 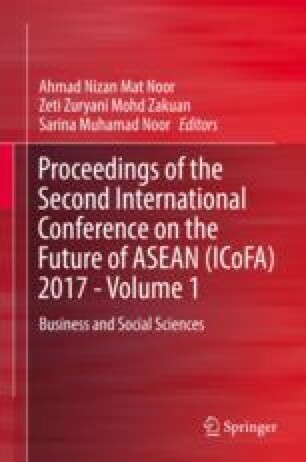 This paper describes a university-community cross-border engagement programme involving a Malaysian university and a community in Thailand. The challenges the team faced and lessons learnt from a series of four project phases are detailed. The chapter concludes with some recommendations for future cross-border civic engagement projects to ensure that they can work as intended and may contribute towards a stronger ASEAN. AUN Member Universities. (2017). ASEAN University network. http://www.aunsec.org/aunmemberuniversities.php. Accessed 11 Mar 2017. Carnegie Foundation for the Advancement of Teaching. (2006). Community engagement elective classification. [Online]. http://www.carnegiefoundation.org/classifications/index. Accessed 21 Mar 2017. Goddard, J., & Kempton, L. (2016) The civic university universities in leadership and management of place. [Online] www.ncl.ac.uk/media/wwwnclacuk/curds/files/university-leadership.pdf. Accessed 12 Jan 2017.